A bit sooner than I expected but didn’t I say that I will definitely be back? The staff seemed a bit friendlier this time around. I think they might have recognised me from my last visit since it’s not an everyday occurance that someone so CHARMING & HANDSOME just strolls in for dinner without any entourage or paparazzi in tow haha. On my last visit, I was deeply disappointed by the starters at Pontini. So, ZK and myself decided to skip the starters and got an additional main instead. I reckon this was more economical too, especially for poor soon to be freshies like ourselves! Smart right? And since sharing is caring, we requested that our pastas be split into 2 plates so that we could 同甘共苦 should the food be damn awesome or damn crappy. 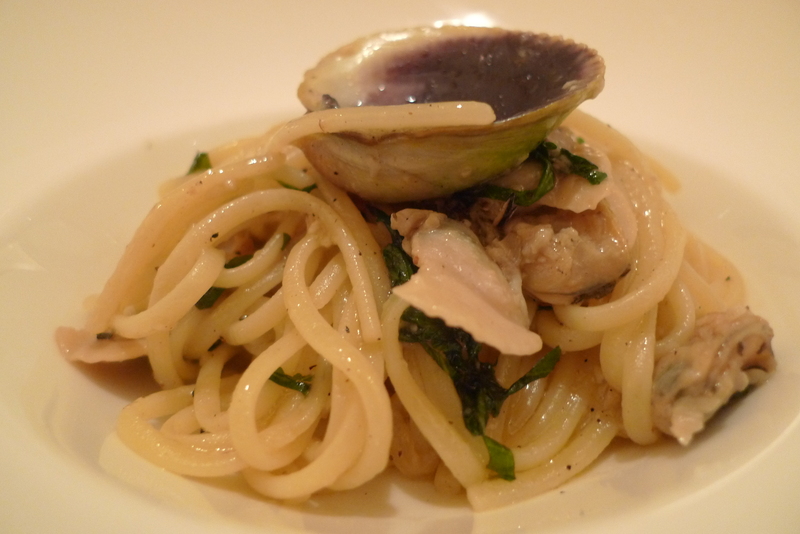 The Linguine Vongole($22++) was first to arrive. I know it’s overused, but it doesn’t change the fact that the pasta was done al dente. The clams were fresh and I just love the fresh bittersweet taste of clam juice over pasta. 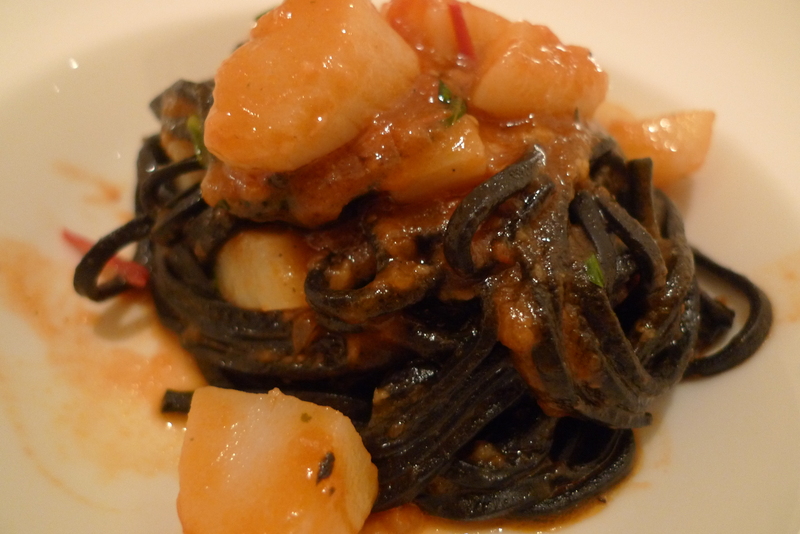 The Squid Inked Tagliolini with Scallops($25++) was even more amazing than the Vongole. The tomato base was addictive and complemented the slurpilicious oodles of inked infused Tagliolini well. I kind of regret not ordering this at Pontini earlier, it’s one of the best squid ink pastas around! Akin to seeing a lover return from a long overseas stint, the Beef Tenderloin with Foie Gras & Grilled Vegetables($38++) was much anticipated and didn’t disappoint. Though not very marbled, the tenderloin was still tender with a lightly seared surface. 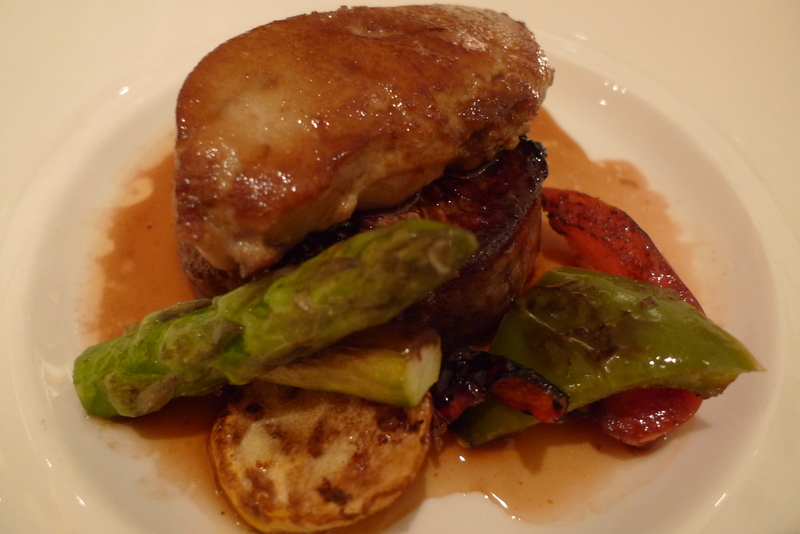 The Foie Gras was as huge as I remembered, devouring it left me squeaming in pure ecstasy. SHIOK! 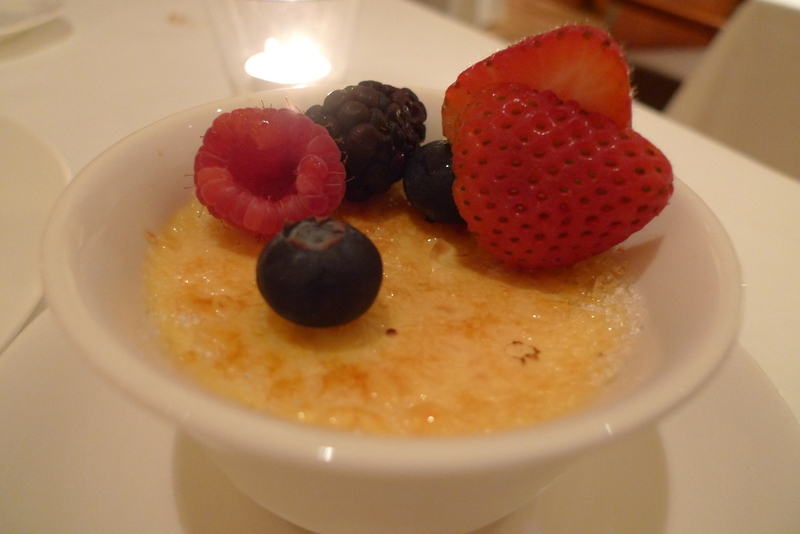 The Creme Brulee($16++) here was the best rendition I have had so far! The chilled custard was smooth with a consistency and texture that caught my fancy. The contrasting layer of hard caramel wasn’t overly burnt as well. Love it! 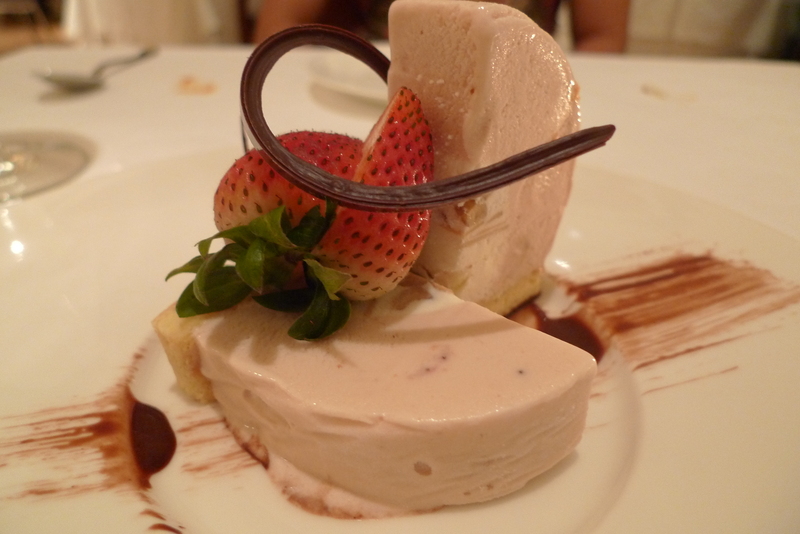 Parfait means Perfect in french but the Vanilla & Strawberry Ice Cream with Honey Nogat Parfait($16++) wasn’t so. The ice-cream tasted like a cheap supermarket one and the bland nogat wasn’t very appetizing either. I’m thrilled that despite having not seen him for over 3 months, ZK and myself managed to have a lovely tete-a-tete dinner with splendid food, unintrusive yet attentive staff. I love dining at Pontini, it gives me an incentive to go for Mambo Jambo @ Zouk next door for post dinner activities which never fails to be a lift my spirits from the monotony of life. muscle, so it is nut used for energy. You need to know what these are and stay away from them. to behave after your have you ex back after a breakup. They simply block the tracking device inside a vehicle. either in an attempt to get your ex-boyfriend or girlfriend back or even look for somebody new whom you could be far more compatible with.